God is the one who introduced the law of seedtime and harvest to His creation and these laws are timeless truths that will never change. The laws of seedtime and harvest don’t care who we are. They will work the same for everyone. We cannot change them. Every area of our lives is impacted by seedtime and harvest. 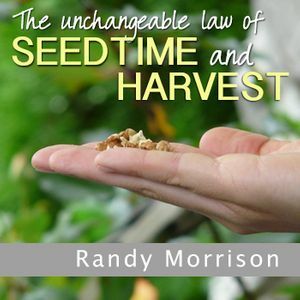 In this message series, Pastor Randy Morrison talks about what seedtime and harvest are and the effects it has on our lives—positive or negative! Your company may match your gift! Click here to see a list of companies in Minnesota that match donations.